Roadworks to Take Place At Locations On N62 – Thurles to Roscrea Rd. 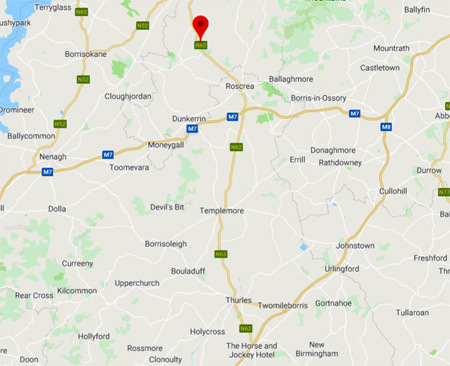 Tipperary County Council wishes to advise vehicle users that necessary road resurfacing will be taking place on the N62 at various locations here within Co. Tipperary. These resurfacing works will commence tomorrow morning, Monday 15th October, at the following locations: Pouldine, Ballybrista, Loughmore, Tinvoher Loughmore, Dublin Road Roundabout, Roscrea and Templemore Road Roundabout, Roscrea. These works will continue and be on-going until at least Friday 26th October 2018. Motorists using these areas are advised to begin their journeys a little earlier as “Stop and Go” systems are likely to be in operation and therefore delays can be expected. Tipperary County Council sincerely apologise for any inconvenience caused during this necessary road resurfacing.